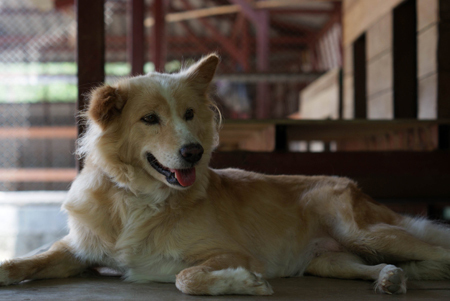 It’s hard to imagine that this drop dead gorgeous girl, Cream came from a harsh life on the streets. She’s now healthy, and waiting eagerly for her “fur”- ever home. Cream would do best as an only pet and in a family without small children, as she has an endearing jealous streak! Cream loves walks, and to have you run your hands through her luxuriously soft coat. She’ll reward you with a full range of vocal sounds, not previously heard by humankind! Be indulgent – add Cream to your life. If interested please call the Care for Dogs Shelter on 0847 525 255 or email [email protected].